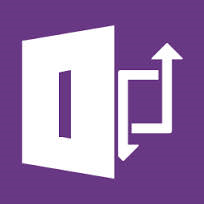 With Microsoft Office InfoPath you can manage forms in several different ways. In the tutorial below I describe how to use InfoPath 2013 to design a SharePoint task form. The demo is also published in the Tips section of the kalmstrom.com website, where you can also find a step by step guide. The future of InfoPath has been questioned, but it is still a very useful tool when it comes to handling electronic forms. As an example I use the form of a SharePoint 2013 task app,which I set to be shown in a dialog. I also remove some of the fields before I open the form in InfoPath. By removing fields that are not used or needed I can get a smaller dialog that does not need so much scrolling. Also, the Related items field, which is a default field in SharePoint 2013 Task lists, does not go well with InfoPath customizations. SharePoint 2013 is created to be easy to integrate with other Microsoft platforms, so to open my task form in InfoPath I just have to click the "Customize Form" button in the SharePoint ribbon. The task form will then open in InfoPath, and I can design it to get it more compact. Later I will also add another field, but before I do that I will publish the compacted form to show it. If you are used to working with tables in other Microsoft applications InfoPath is easy to understand. You can add, merge and delete cells, columns and rows like you do in Word, and new fields can be dragged to the table in the same way as in an Excel pivot. When the form is customized in InfoPath I show how to set versioning and create a comment field. In this field I set changes to be appended to existing text, which means that no comment can be changed once the task has been saved. Instead new comments are added to the earlier ones, so that the comment field can be used as a discussion board inside each task. A disadvantage with using InfoPath is that you cannot add a column to the list after you have designed the form in InfoPath without going back into InfoPath and adding it there too. This is a quick process, though, and I think the benefits of using InfoPath with SharePoint well motivates the extra trouble.